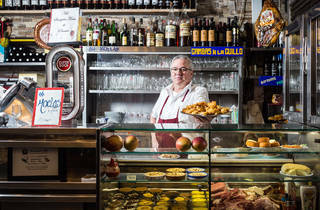 A Galician man opened this restaurant right across the famous Rossio animatograph, back when mule carts still roamed the Lisbon centre, in 1944. 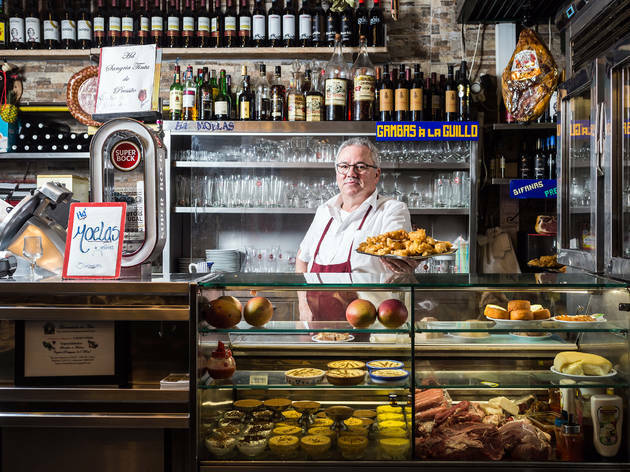 For the last 14 years it has been managed by David Castro, but the house's fine dishes and snacks are prepared by his wife, Fátima. 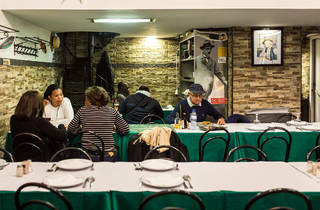 The full "tasca" experience is there - from the aluminium counter to the jugs hanging from the walls - ham legs used to be hung there too, but that practice has been banned by health and safety authorities. 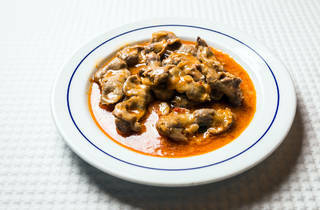 Full meals are served around the clock but you can also sit at the counter and order some "five star" chicken gizzards or cod "patanisca" fritters. 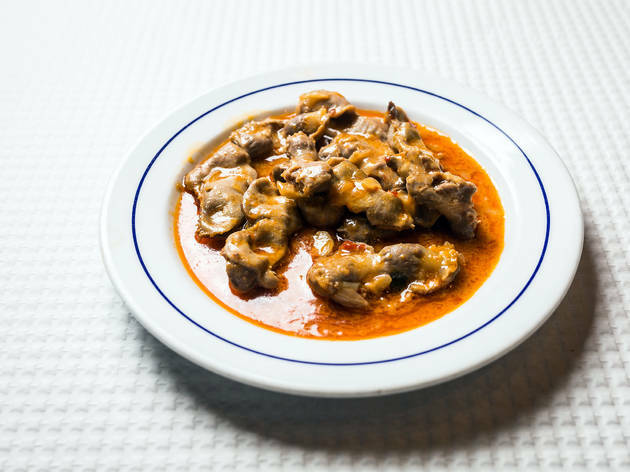 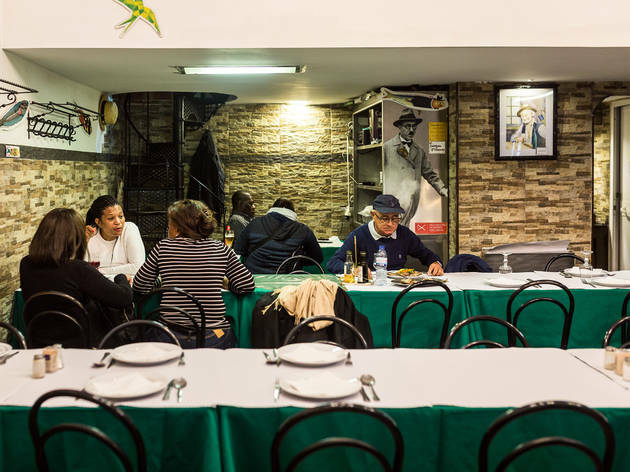 Time Out tip: Merendinha has cozido à portuguesa as a special every Thursday, and serves it in individual portions that include everything the stew is supposed to have.